No, this isn't my current gaming rig. 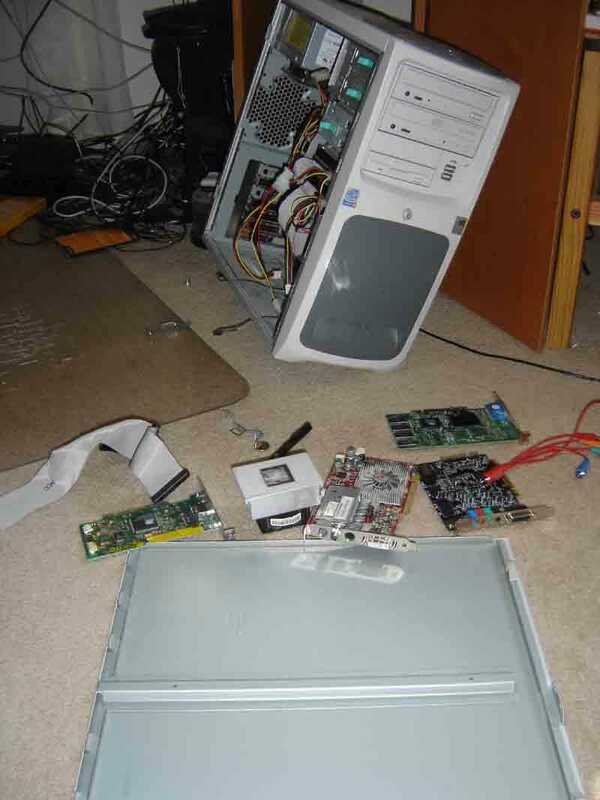 It's a postmortem picture of the last computer I built myself which died by heat and electrical shorts. These days I run a Voodoo with an AMD 64 FX-60 2.5 GHz dual core processor, 2 gigs of memory and an ATI Radeon X1900 graphics card. It's in need of upgrade, badly. I've been eyeing a grossly over-priced Alienware desktop as a potential replacement, but I can't bring myself to make the switch just yet. What about you? What are you running right now? What's the next desktop you're going to buy or build? Own a laptop only? Hit up this thread to talk about your portable gaming rig.